Beachfront and beautiful: the yellow hues of King and Prince Resort complement blue sky days on St. Simons Island, Georgia. Photo courtesy King and Prince Resort. Expecting more than relaxation in a handsome resort that hugs the ocean feels selfish. Why isn’t resort life sufficient? Cultural Heritage TravelingMom allowed herself plenty of feet-up time on Georgia’s barrier island named St. Simons. 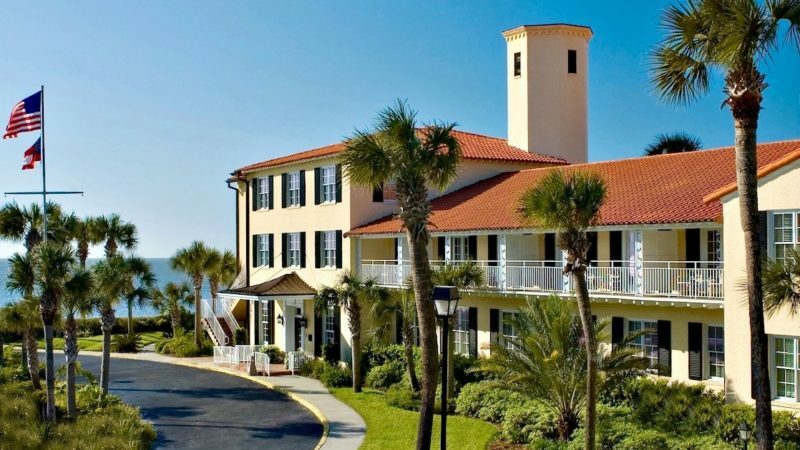 She also figured out how to launch invigorating discoveries from her three nights at the King and Prince Resort and Golf Club and still claim a luxurious beach vacation in the Golden Isles. 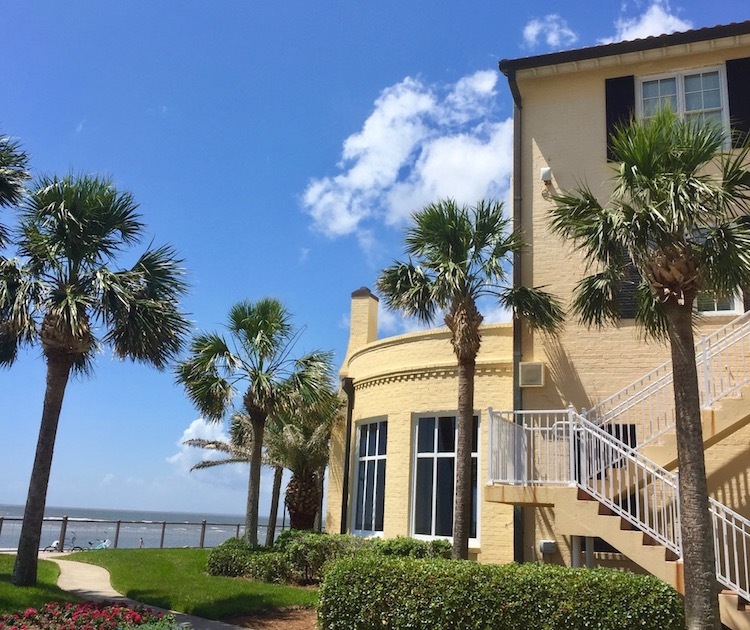 Building a St. Simons Island vacation around the King and Prince Resort includes history, architecture, cuisine and wide beaches. Photo by Cultural Heritage TravelingMom Christine Tibbetts. Island life is like time travel for me. 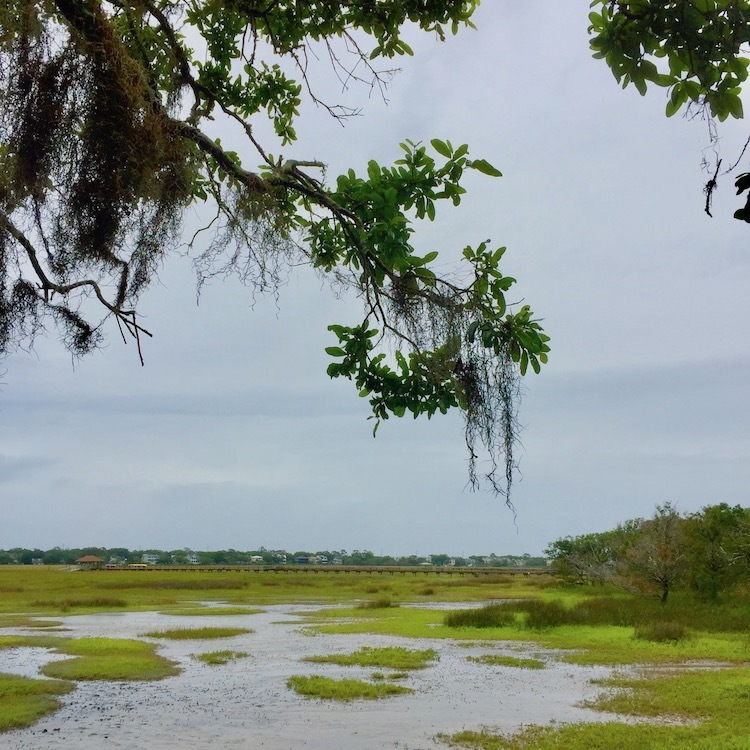 A whole new world unfolded on St. Simons Island in Georgia when I relied on five broad notions with specific tips to make each one charming and personal. Road Trip TravelingMom Karyn Locke. Approach St. Simons Island via a cable bridge. Majestic: is it art or engineering? This is the gateway to a vast eco system, largest east of the Mississippi River. The Highway 17 bridge is named for Georgia poet Sidney Lanier, so read his “Marshes of Glynn” before you go. Marsh grasses and water magically appear as you reach the top. Ships with 13 decks pass underneath. Each carries 8,500 cars from foreign ports to unload at the Port of Brunswick. George Washington started all that, identifying this port 1789. Schooners hauling lumber used to sail these They came to get the heart pine, which graces historic island buildings including the 1736 Christ Church Frederica. Noticing such details while arriving helps me change gears from busy life to calm vacation. You too perhaps? Barrier-island big turtles need calm too. They wander out of the marsh, heading to the other side. Concrete traffic barriers on this causeway sport trapezoid openings to let them through. Arnold Street is the third thing to notice before parking the car. Sounds unpretentious to me. Sometimes grand resorts declare themselves grand addresses. The King and Prince Resort confidently appears at the end of simple Arnold, unfolding in pale yellow architecture against the backdrop of wide beaches, dramatically changing tides and the Atlantic Ocean as far as one can see to the left, the right and out to the horizon. Trolley rides are always fun, nice change from the family car. Drivers usually have a script, or some version of local lore, right? Family history from the late 1860s fuels the trolley experience on St. Simons Island, and neighboring Jekyll Island. With every generation of his family “still here, either standing or lying,” the owner of Lighthouse Trolley Land and Sea Tours draws on rich family storytelling to explain what’s what in the Golden Isles. Cap Fending credits his grandmother with his love of fishing and boating. This Island family’s close. Lighthouse Trolley knows the oldest history and the newest opportunities. Ask to see Harrington School. Art by Shirley Hunter. Photo by Cultural Heritage TravelingMom Christine Tibbetts. Minus time away earning a degree from the University of Georgia – he’s lived his entire life on St. Simons. That’s a love affair. “I love the Georgia coast and St. Simons Island,” Cap declares unabashedly. Expect lots of reasons why as he easily maneuvers the trolley through streets canopied with lush live oak trees. Same’s true for his tour boats through waters abundant with wildlife. Lighthouse access happens in multiple ways. I declined climbing the 129 steps to the top but the door to a grand view is open via the Coastal Georgia Historical Society. Expect your boat captain – Cap or colleagues – to point out the lighthouse from the water, framed by 1967 Navy range towers. Military history abounds on the island. The East Beach former Coast Guard station reopens in October, 2018, as a World War II homefront museum, bringing new life to specific stories of island history. Many center around the King and Prince. Nora August is the reason I didn’t climb the St. Simons Island lighthouse steps. Her intense beauty compelled me to stand and stare at her. Contemplate her life as a slave when you go to the lighthouse keeper’s house, carefully preserved and explained by the Coastal Georgia Historical Society. Carved in ivory by an unnamed Union soldier who observed her in a contraband slave camp on the island, Nora August is elegant. Her sculpted ivory neck is carved with tiny letters, telling what was known about her life. Amy Roberts is alive. 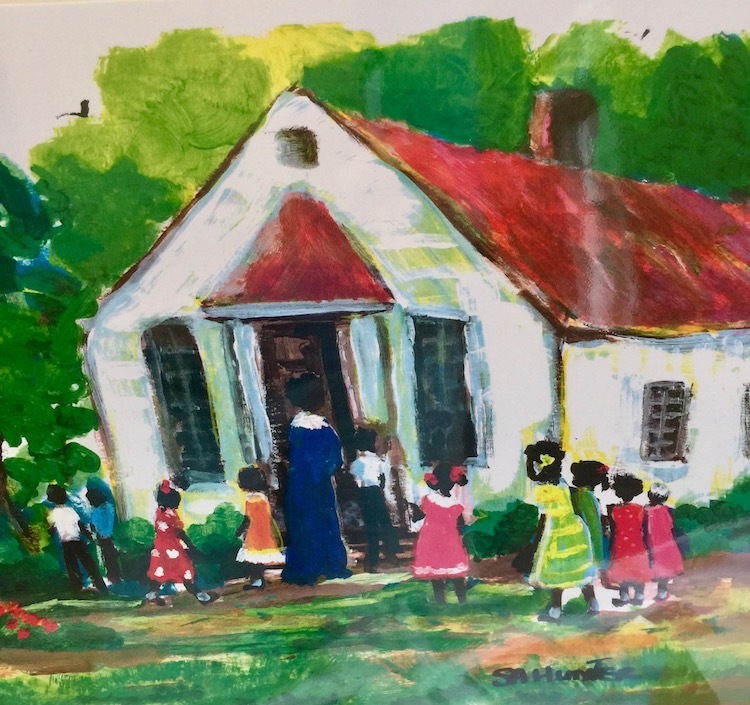 Meet her at Harrington School to bring to life the rich history of people known throughout coastal Georgia and South Carolina as the Gullah Geechee. I thought they were far and few between, freed slaves creating communities that eventually shrank as people forged new opportunities elsewhere. She attended Harrington School which is now restored as a cultural center, open to the public Tuesdays through Saturdays from 10:00 a.m. to 2:00 p.m. I like finding authentic voices. Robert’s also closely involved with the annual Georgia Sea Islands Festival, happening every June with the St. Simons Island Heritage Coalition. 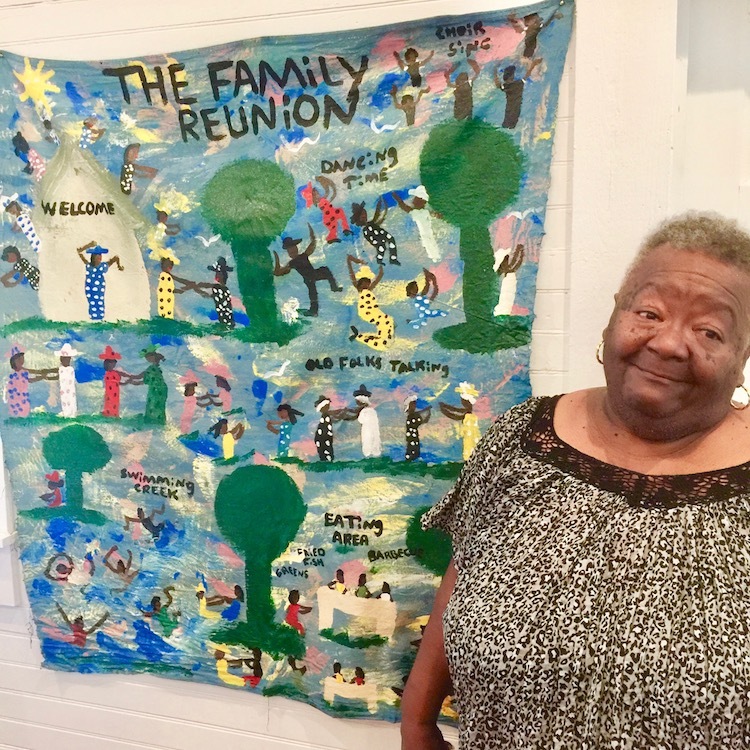 Amy Roberts was a student at Harrington School, Now a St. Simons Island cultural center featuring Gullah Geechee heritage. Photo by Cultural Heritage TravelingMom Christine Tibbetts. Red meat’s available but I know only one such recommendation. Seafood is the way I approached eating in St. Simons village restaurants, and the ECHO restaurant at the King and Prince Resort. Foie gras topped my beef burger, slider size, for a late lunch on arrival afternoon. Perfect juices dripped to my wrists because I didn’t want to use the fork and knife. Crab, wild Georgia shrimp and grouper filled my ECHO breakfast omelet, sitting by the sea to watch the tides. Triple tail my fish of choice for dinner at Georgia Sea Grill, on top of black quinoia interspersed with a chic medley of okra and red and yellow pepper bites. Fresh catch, of course. Sea Grill Chef Tim Lensch speaks in unassuming ways, learning some of his culinary skills as a Boy Scout and a little boy paying attention in the family kitchen. His menu, however, is inventive, offering detailed explanations of each dish. Fifteen local food purveyors are named on the menu, reinforcing the Georgia Sea Grill fresh and local philosophy. Just a block down the street find Savannah Bee Company where honey is considered the soul of a flower. 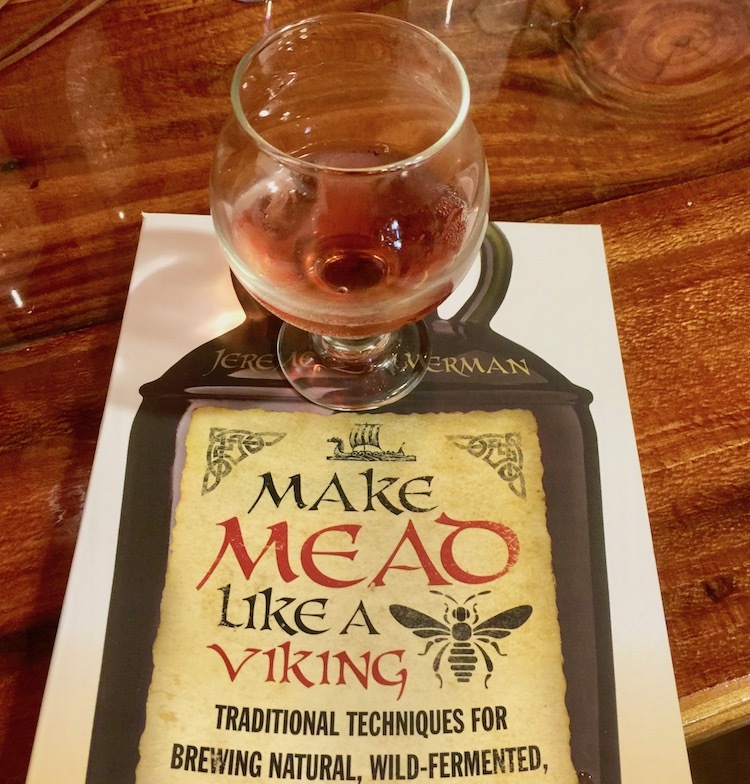 I recommend tasting honeys and the elixir distilled as mead. Palmer’s Village Café is home to five star, five diamond Chef John Belechak. Think haute cuisine comfort food. If you visited the acclaimed Inn at Blackberry Farm in Tennesee’s Great Smoky Mountains, The Cloister on Sea Island and Atlanta’s Veni Vidi Vici, he would have been your chef. Impressive credentials. Travel & Leisure says Chef JB’s pancakes are among the best four in the nation. I recommend skipping the maple syrup because his textured brown sugar topping is also memorable. 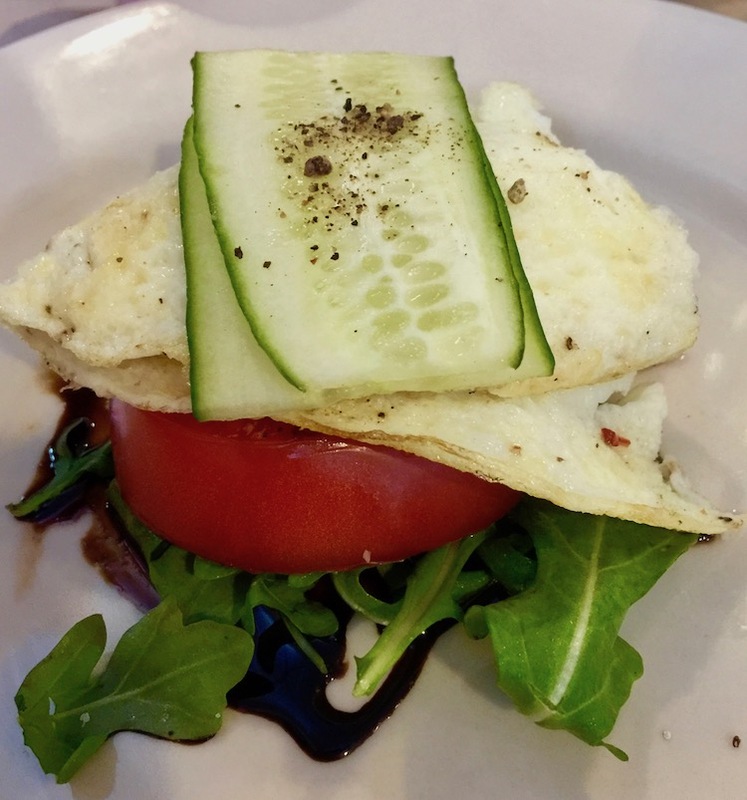 Palmer’s Village Cafe in the St. Simons Island walkable downtown serves up five star, five diamond dishes. Photo by Cultural Heritage TravelingMom Christine Tibbetts. Do you like to teach the kids a sense of place? How where you travel, or live, fits into the big map? St. Simons Island offers lots of geography tidbits. Knowing a few enriched my way of looking around. Same size as Manhattan but what a difference in the mood. The beach is a bight. That’s means curved coastline. The wide beach the length of the King and Prince Resort widens even more with shallow wading water sand bars at low tide. Largest of 15 Golden Isles barrier islands, only four accessible by car and one’s gated. Westernmost island on the east coast actually due south of Akron, Ohio. Most diverse ecosystem east of the Mississippi River so loaded with wildlife experiences. Georgia’s coast contains one-third of all the east coast marshland and that means lots of nutrients feed abundant sea food. Wave energy is low and tide-changing energy robust because of the curved-coast bight. Every six hours like magic tides can change 10 – 12 feet. Vast stretches of marsh fuel the wildlife and seafood abundance on St. Simons Island in Georgia. Photo by Christine Tibbetts. 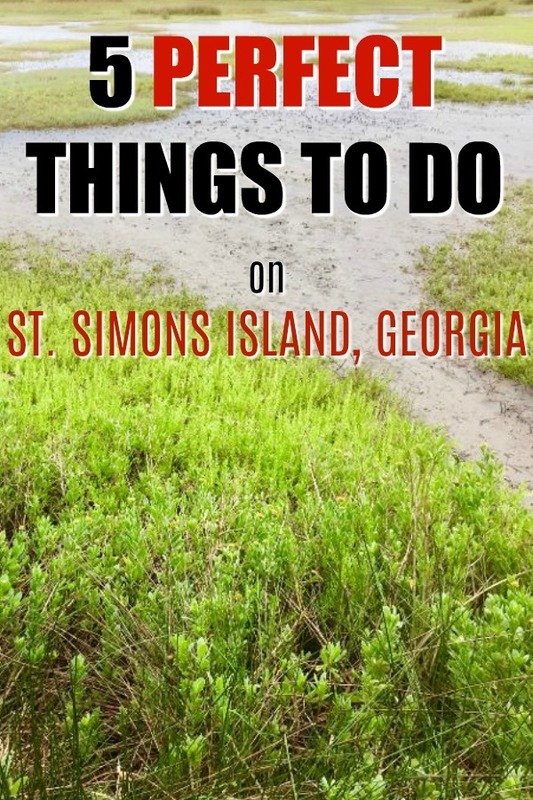 TravelingMoms also look at St. Simons Island with experience to judge what’s good for families and for girlfriend getaways. 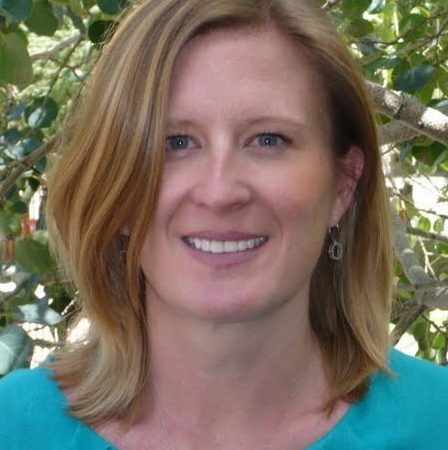 Here’s what Inquisitive TravelingMom Amy Albers discovered. Multigen families can rent big houses. Candid TravelingMom Patty Holliday left the family at home and found her island niche with a girlfriend. One of my very favorite beach towns and I haven’t even done all of this. Guess I need to get back!